This unique half log pine candleholder comes to life with a bright colored dragonfly sketch. 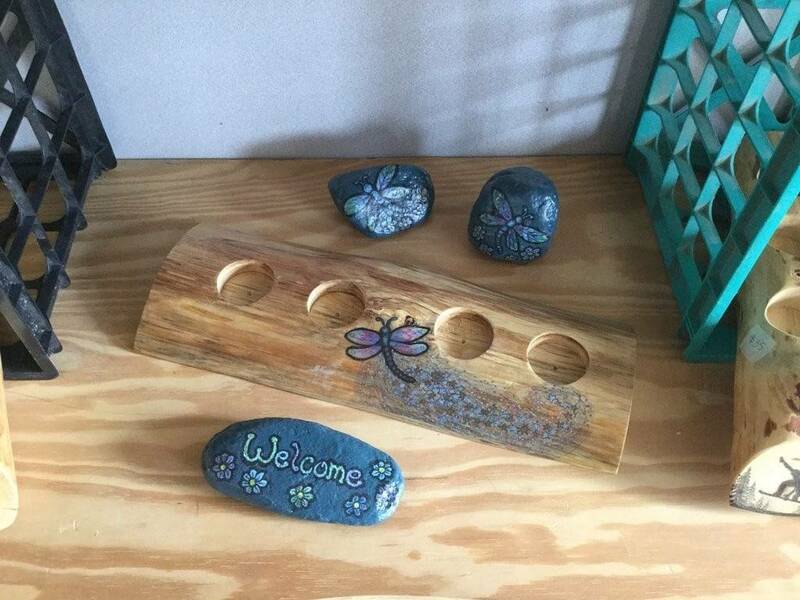 Comes with 3 whimsically hand painted rocks. Definately one of a kind set. Comes with glass candle holders.